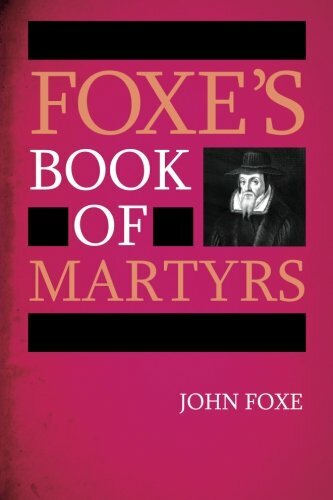 Foxes Book of Martyrs chronicles Christian martyrdom from the 1st to the 16th centuries. Fox provides a Protestant point-of-view account that focuses heavily on the English Protestants and proto-Protestants who entered martyrdom between the 14th and 16th centuries, though the book in its entirety spans papal persecutions, martyrdoms during the reign of various Tudor monarchs, and even French persecutions during the early 19th century. This slice of Christian religion history is a must-have addition to any Christian or religious scholar&#x2019;s bookshelf. Media mail $3.99 hardback, $3.59 paperback; $1.99 for each additional book. Priority mail $6.99 first book, $1.99 each additional.